A Rhone style blend of Marsanne, Viognier and Roussanne (49/35/16). The longer this was open the more I enjoyed it. There's plenty of weight and textural appeal courtesy of the Marsanne component which sat in French oak for six months on lees. The remainder was all tank fermented. Apricot and peach skin, lemon curd and honeyed characters. A dash of spice and defining acidity round this off well. The finish lingers large. Rich with generosity, a smart wine this and worth the coin. Riverland and McLaren Vale fruit was used here to deliver an easy drinking wine. Softish plummy fruit, dark chocolatey oak, black pepper with a wash of spice to finish. It just has a slurp factor to it. A tidy medium bodied wine made to drink now. And for ten bucks, there's not too much to be unhappy about. A bargain for sure. Raspberry aromas wrapped in plummy fruit. Some chunky oak and an unpleasant alcohol warmth (14.5%) which I suspect is using much of the 1.5% allowance. Not a wine for me. Spend the same money on the Shiraz. Here's another reason why Aussies should drink more of their own Sauv Blanc rather than those form across the ditch. A ripping deal for under $10, I really like the freshness and the fruit this carries. Honeydew melon, green pineapple husk, passion fruit, apple and cut grass. Clean and crisp to finish, a well placed wine and great buying. A bargain. Quite golden in appearance, the 70% Chardonnay contributing to this no doubt. For a ten dollar fizz this is pretty good. An easy drinking style, it's not too dry. Tinned apple and pear fruit linger long enough. Some toasty bits too. A dab of freeze dried strawberries to finish. Sure there's not layers of complexity to it but for the money it would be hard to beat. And many a fizz in that bracket can cause harm. Not this. Looking for a budget fizz? You'd be happy here. A whiff of stewed apple though not too aromatic. Apple and pear make an appearance on the palate. There's a warmth to this which rubbed me the wrong way. Crisp to finish but nothing to excite me here. My initial thoughts on this weren't great. A bit of a bullish type kid. Rough around the edges. Abrasive is probably a better word. A day on it opened up and seemed more inviting. Blue fruit and some violet type aromas stepped up. Spice is tempered as is the oak, but there was still a roughish finish. But hey, for $19 you could do worse. Much worse. Mind you, I'd spend the same money on its stablemate The Bandit in a heart beat. Cellar up to eight years. There's something about Brad Hickey's wines which make me feel comfortable. There's a homeliness about them. Maybe it's the simple yet charming labels. Perhaps the big weighty bottles. Or just the generosity of what is in the bottle. I dunno, but gee I like 'em. Buckets of fruit and some fruit sweetness here. Forget protein shakes, you could use this as a meal replacement. Generous indeed. Blackberry, plums, tar, turned black soil, and a heap of smooth fruit. And then there's a grind of some savoury spices. And there's more. Oak char and milk chocolate with a dusty/powdery type tannin which finishes dry. Puckering and moreish. It's whispering at me to top up the glass. Oh, ok. Medium term cellaring but good to go now. Spring has nearly sprung and this welcomes the change in season perfectly. Chill it down hard and enjoy the warming sun's rays with a glass of this in hand. Grassy characters, capsicum, gooseberry, tropical fruit salad, lychee and citrus litter the palate. Clean with a wicked length. Plenty of sunshine and smiles here. This presents more as a lighter bodied Shiraz than Pinot. Quite an enjoyable drink no less, but it doesn't grab me as a typical Pinot. The chocolate peppermint undertow is probably the driving reason. Whilst it's not a typical Pinot character, it seems a vineyard trait which clearly has a sense of place consistent with the other wines in the range. On the second day of tasting that mint character holds firm. Soft plum fruit leads to a gentle caress on a long and supple finish. 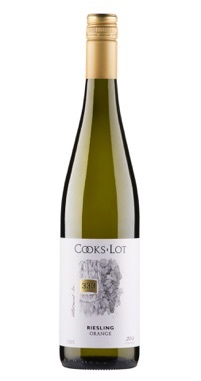 This wine walked away with the Stodart Trophy at the Royal QLD Wine Show for the best one year old wine. Medium bodied wines seem to be taking similar awards across the country and it appears the future could well be with this style. Purple florals, tangy spice but with fruit which is sensual and elegant. But there's a chocolate and cherry goodness driving this beauty all the way home. Puckering tannin sit on the finish which is ridden by the spice. A great drink made better by the price tag. Find it for just under $20. I can't remember the last time I enjoyed a Merlot so much. Often a much maligned variety when on its own, this will sure find a few new friends out there. The fruit comes off Pinot vines planted in 1989 which were grafted over to Merlot in 2006. The finished wine was matured in 500L puncheons for twenty months. Dense and generous plummy fruit. There's a genuine wholesome appeal here. It just sits on the mid palate almost protesting to leave. Some pan juices and a little smidge of oak sweetness lies beneath. Some dark chocolate too. Seriously delicious wine this with a touch of cedar and vanilla sweeping through at the death. Yes please! Find something homely and slow cooked for this. Wade through some happiness in a glass here. It's hard to believe that this is on the shelf for $25. And whilst it sits in the shadows of some of the more illustrious labels in the Torbreck range, man it has some broad shoulders and stands up for itself well. Oceans of depth courtesy of it being bottled unfined and unfiltered. Spades of plums and dark fruits get on the front foot from the outset. There's a surge of sweet blue fruit rushing through late. A spice rub of sorts rounds this off nicely leading to a long and rewarding finish. A solid wine and one of those reliable fall backs. 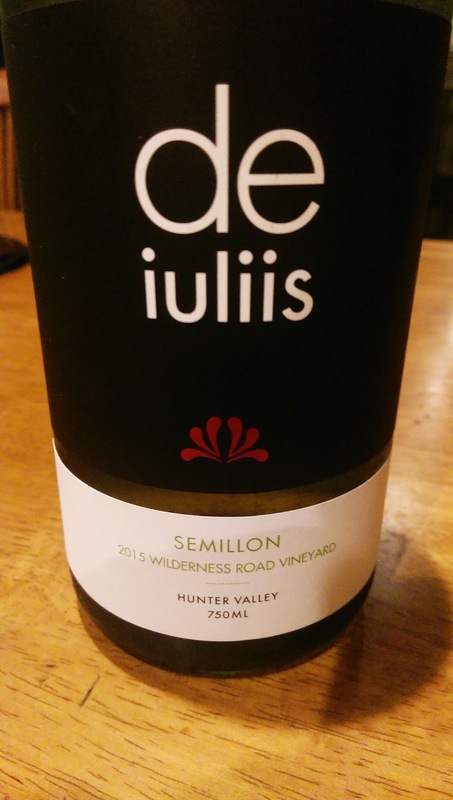 This wine replaces the Sunshine Vineyard Semillon which was formerly a part of the de iuliis range. With a few issues in the air, the sunset on Sunshine and the fruit from this Wilderness Road vineyard brought a new dawn. And Mike likes what he sees he tells me. The vineyard sits beside De Bortoli's on Wilderness Road, dry grown on sandy soil. Much more aromatic than the other Semillon 2015 in the range, I did prefer this as a drink which needs food beside it and there's certainly plenty of ageing potential in it too if that's your thing. Waxy green apple, buckets of lemon and lime goodness skip about but the apple action is where the party is at for me. Quite fat in the mouth there's lemon pith to finish. It has the potential to cellar for the long term. Good Pinot ain't cheap but this for $28 is tremendous buying. Hand picked from the Dixon Creek vineyard, 15% whole bunches were used. A quarter of the wine saw new French oak and the balance sat in 1, 2, 3 year old barrels. Dark cherry fruit, some funk courtesy of the whole bunches, there's even a whiff of old furniture vanish just like at nanna's house. Baked raspberry and some toasty oak make up the rest of this layered delight. Quite vibrant, there's a depth about this medium bodied wine with the red fruits humming away beautifully. Finesse is a word that keeps coming to mind. Soft fruit paves the way for a long powdery finish. Jostle your way to the front of the queue for this. A fair drop this but nothing overly exciting here. Pineapples and tropical fruit, green banana, honey and spice with some zippy acidity. Spend the same money and get their Sauvignon Blanc 2015. 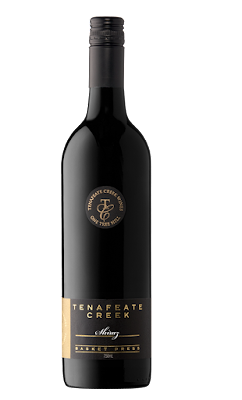 This is the second release of the Appellation Series and there's lots to like about this medium bodied style. Some purple flower aromas, red berries, a pinch of beefiness and heaps of pepper. The longer it sat in the glass the more the violet aromas came to the fore. White pepper is what steals the show once in the mouth - a typical cool climate trait. The fruit is soft and just sits long with the pepper sprinkled over the top. And whilst not obtrusive, it takes the spot light from the fruit I feel. I loved the 2013 release, and whilst this is a very good wine, it's just notch back from its predecessor. Still, I'd happily have a glass or two on a cool winter's night. Some summer time smack time action right here. This Semillon is hot off the press and right in the slot for immediate refreshment. Quite light in appearance, the aromas seem a little more muted than its Wilderness Road sibling. The fruit comes from a few sites and is clean, crisp and refreshing. I just want to douse that summer time fire with this already. Citrusy and grassy with plenty of lemon zest about the finish, there's a tang which calls for another sip. Ripping value. I will be buying some and drink it in the pool come December. Whack this on your must buy bargain list! For a wine which you can find readily available for $10-$13, there's not too much wrong here. 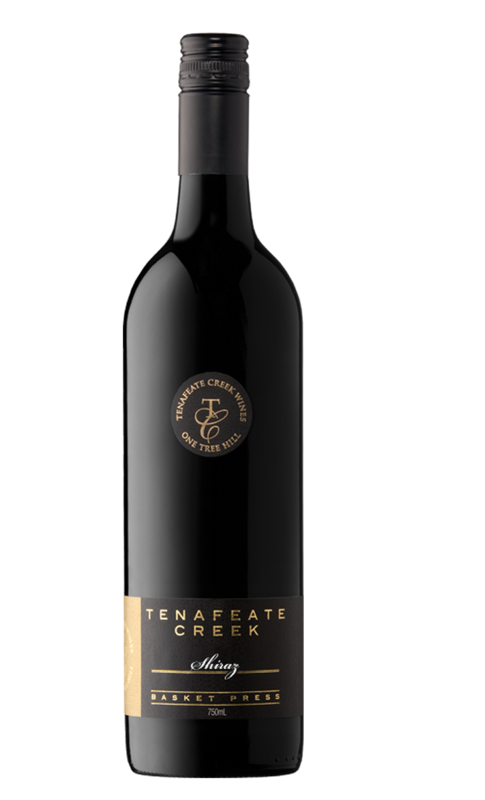 A blend of Cabernet, Shiraz and Merlot, get set for delicious plums, red and black fruits, plenty of persistence, a shake of spice, some vanilla and a long length... What's not to like? Medium bodied wines are trendy at present and this is right in the slot. Drink in the medium term, a no brainer for penny pinchers. This just hums away like a cool R&B tune. Everything has its place yet all the parts work together seamlessly. A blend Cabernet Sauvignon, Cabernet Franc and Malbec. Blue and black fruit, tomato leaf, aniseed, balanced oak... What you get is pure and inviting. Complex and layered, there's a depth to it yet it sits on the balls of its feet with enthusiasm. There's no heavy or sinking feeling here. Savoury herbs chime in before a wash of soft tannins flow through. A beautiful wine which just rolls on and on. I'd resist temptation and let it sit for another year or two. This will easily live for the long term. Feed me meat. This stuff just screams for it. Earthy, tar and certainly aromas of violets. There's a charred meatiness about this wine which has me hooked in. A dry grainy and dusty tannin finish only propels the need for tapas or something meaty off the coals. I'd happily go back for another glass. Another captivating wine from St Mary's. I enjoyed the Carillon a little more, but regardless, this stood up to the task well. Medium bodied, so soft and deliciously moreish. Peppermint, a bit of eucalypt and drowned in lots of fruit. There's a supple nature about it and it just slides through with ease. Black fruits are generous but don't over play their hand supported well by neatly placed oak. Quite a comforting and enjoyable wine. Gee I enjoyed drinking this. It's just so appealing and so sessional. There's a great fruit presence wrapped up by savoury notes. Sure the colour can suggest that this is sweet but not so much. As Oliver's Taranga winemaker Corrina Wright says, "This is a fun, dry Rosé." Yep, sure is. To be precise, this was made by the cellar door ladies - the chicas! I can't help but think Cindi Lauper's lyrics were ringing out loud in the winery as the ladies just wanted to have some fun. Red currant and red berries hit the spot with a dusting of black pepper to finish. Refreshingly delish. A bit of fun and a great drink, isn't that what we look for in a wine? One for the trolley, yes please. This is just a good wine with nothing to tip me over the edge with excitement. Soft dark fruits and chocolate, there is a lick of fruit sweetness. Not too much depth sits within although the oak is integrated nicely. The fruit hits more so on the front with little follow through. Pinchy acidity lobs up and leaves a warmish memory in its wake. Tannins are plump and dry. Given the choice, I'd spend my money on the GSM - a better wine for the same price. With a slight bronzed tinge in the glass, a whiff of pear skin and some grassy traits line up. Some texture is evident but the green apple which drives through wrapped up by a minerality adds good presence. Acid is well placed. Clean and crisp. To be released in January 2016, it was a privilege to have an early sneak peek. I just had so much love for this. Perhaps it liked my belly more. Earthy, dried oregano, wallet leather, black fruits and dark cherry aromas. There's a distinct generosity about it. Super soft and smooth, the tannins seem to sit forever. Perfectly poised. The acid is a cut above too - great structure. on ensuing days these layers of deliciousness continually unfurled. Well placed now, this will be dangerous with a few more years on its side. A decade at least lies ahead.